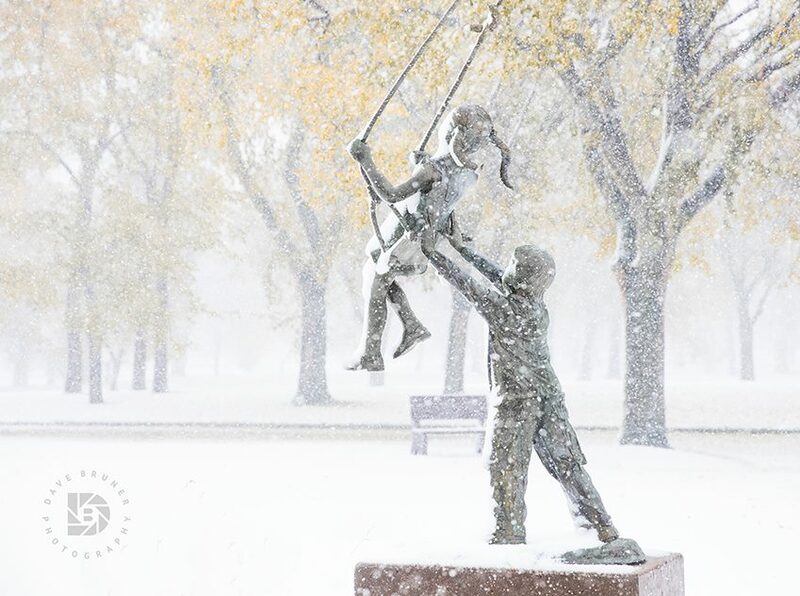 “Swinging in the Snowstorm”: I went out in the heavy snowstorm to take some early snow photos. Walking by this statue I stopped to capture this image. Trees in fall foliage after the storm. Fall colors and snow panoramic. Not sure why I’m anxious about snow this year. Not looking forward to it this year, bereft of family not helping, not death, but removal of family member from someone that I can trust to help me as I age. Signs have been there for a while, but it was a shock to have it slapped in my face the way it was. So, I’ll find another way to cope. Can’t stop the snow for sure.